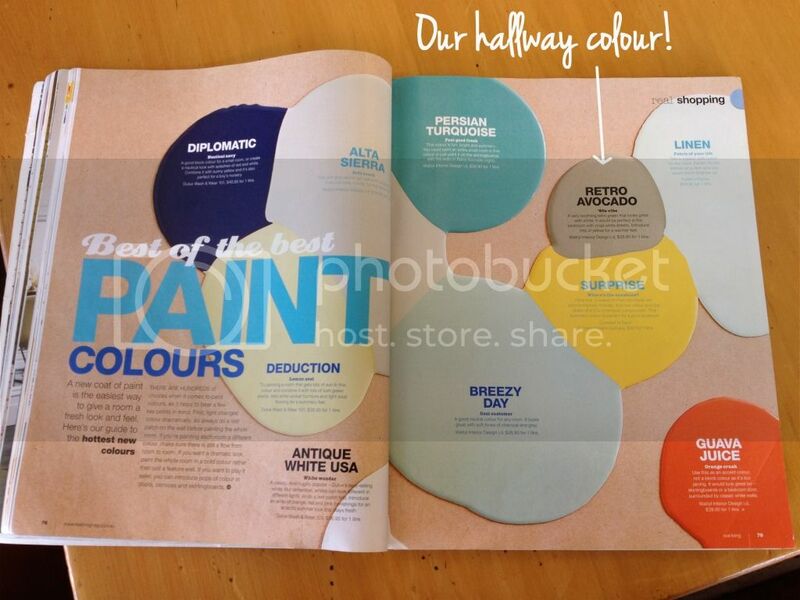 At a cafe in Adelaide I glanced though a very old copy of Real living Magazine & found these awesome paint colours. Our new to us house was renovated in 1972 and so most of the colours and feel of the place is quite retro. 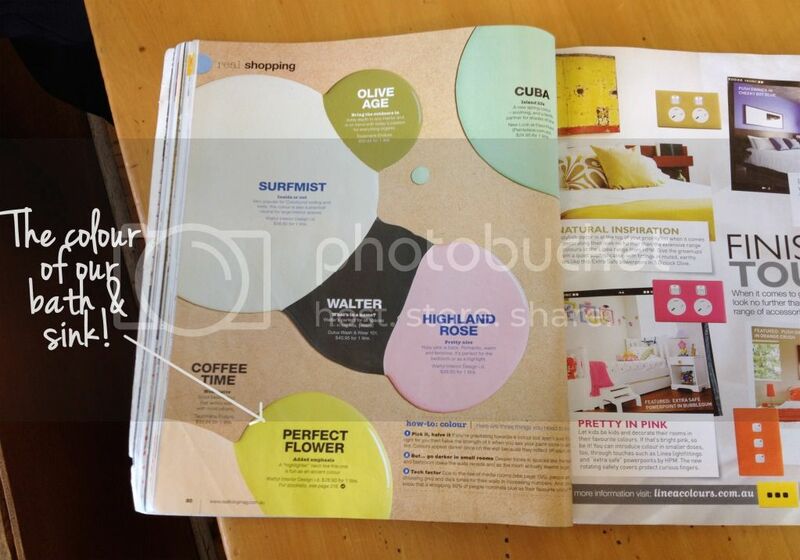 It's funny seeing the colours in the magazine as 'the hottest new colours'. Now that we've lived here a while, I think the place really just needs white paint with colour from our paintings & furnishings. The house doesn't get much light, great for an Alice Springs summer but it is so dark. A bright white paint would lighten it up a little. Though it will be a shame to cover the retro avocado colour.